OTTAWA — New projections released by Ottawa on Friday suggest Canada is well short of meeting its Paris commitments, even as the government continues to roll out ambitious climate policies expected to substantially reduce greenhouse gas (GHG) emissions over the next 15 years. In its year-end filing to the United Nations Framework Convention on Climate Change (UNFCCC), Canada’s environmental office said it expects total GHG emissions to fall to 583 megatonnes by 2030, a roughly one-third reduction compared to 2015 levels. That marks a sharp drop from estimates just one year ago, which put that figure closer to 700Mt by 2030. Even so, the forecast puts Canada out of reach of its stated target to reduce emissions to 517Mt over the same period. It also adds weight to estimates by environmental groups, economists and other analysts, who have long claimed that Canada is on track to miss its Paris targets. 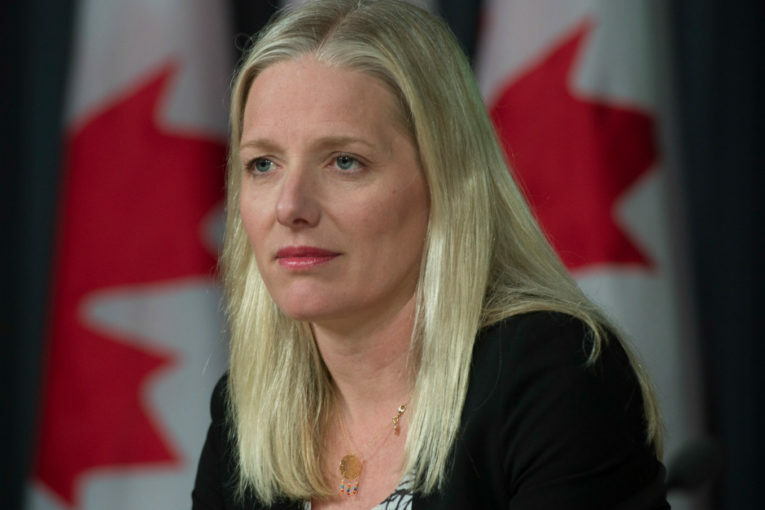 The GHG estimate was lower than previous forecasts partly because it included a “with additional measures” scenario, which contains policies that Ottawa has announced but not yet implemented, like its national price on carbon. Canada has committed to reduce its economy-wide emissions 30 per cent below 2005 levels by 2030. “We are 100 per cent committed to meeting Canada’s 2030 climate change target, and I’m proud of the progress we’re making,” Environment and Climate Change Minister Catherine McKenna said in a written statement. Despite Canada currently being shy of its own targets, economy-wide emissions are set to fall dramatically. The environment office expected its 2030 emissions to be 742Mt as recently as December 2016, when the Pan-Canadian Framework was first introduced. Ottawa’s sprawling climate policies include a federal carbon tax, clean fuel standard, stricter federal building codes, a phase-out of coal-fired electricity, the promotion of electric vehicles and other programs. Manitoba and Saskatchewan have yet to sign on to the Pan-Canadian Framework, though Manitoba recently announced plans to introduce its own price on carbon. However, Ottawa has suggested Manitoba’s future carbon price might be too low to meet the federal minimum price, which begins at $10 per tonne in 2018 and increases $10 per year over the next five years.